For you curious or aspiring astronomers, NASA confirmed February 22nd; they discovered seven Earth-sized planets through their Spitzer Space Telescope. Astronomers also found that three out of the seven planets were located in habitable zones for potential life. The Spitzer Space Telescope is NASA’s 720 million dollar infrared space telescope launched back in August of 2003. Spitzer trailed the seven new planets and bought NASA scientists 256x256 pixel detected photos of the planets and some of its surface. NASA’s scientists are able to conduct further studies of the planets surface thanks to the Spitzer. “You can just imagine how many worlds are out there that have a shot to becoming a habitable ecosystem,” said Thomas Zurbuchen, an associate administrator at NASA during a news conference. NASA named the planets, TRAPPIST-1, and is 235 trillion miles away from the Earth. Scientific study determined that the planets are positioned in habitable zones based on their distance from the sun. Two of the planets were found to be at the right temperature to inhibit oceans. This discovery impacted NASA scientists and aspiring astronomers as further study of TRAPPIST-1 has led to wonders of sustainable atmospheres. 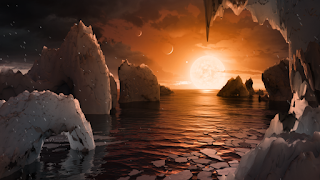 "The TRAPPIST-1 system provides one of the best opportunities in the next decade to study the atmospheres around Earth-size planets," said astronomer, Nikole Lewis. 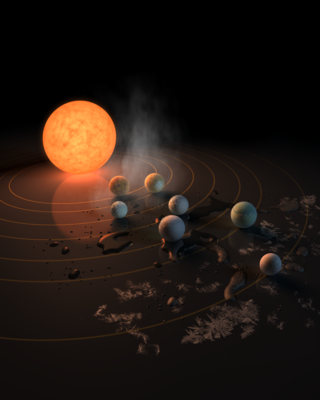 "The TRAPPIST-1 system provides one of the best opportunities in the next decade to study the atmospheres around Earth-size planets," said astronomer, Nikole Lewis. Nikole was the first to announce the discovery of the seven new planets at NASA headquarters. LSSC Loves the South-Lake Animal League!